A missile attack. Arrests of powerful businessmen. A lot is happening fast. 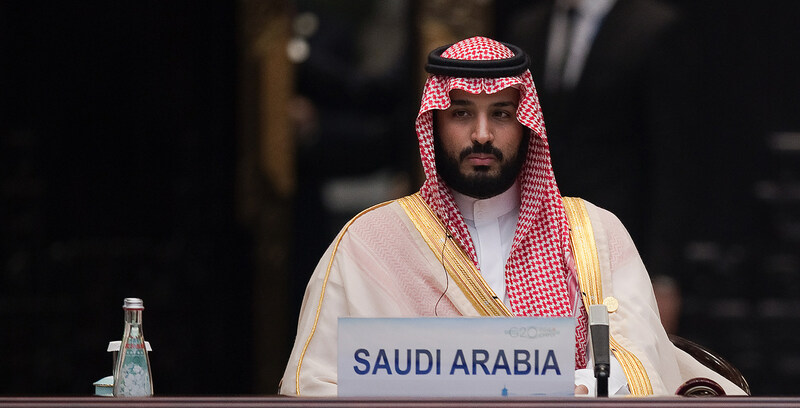 A new anti-terror law was announced in Saudi Arabia that will designate the death penalty for anyone who commits or funds a terror crime that results in the death of an individual. 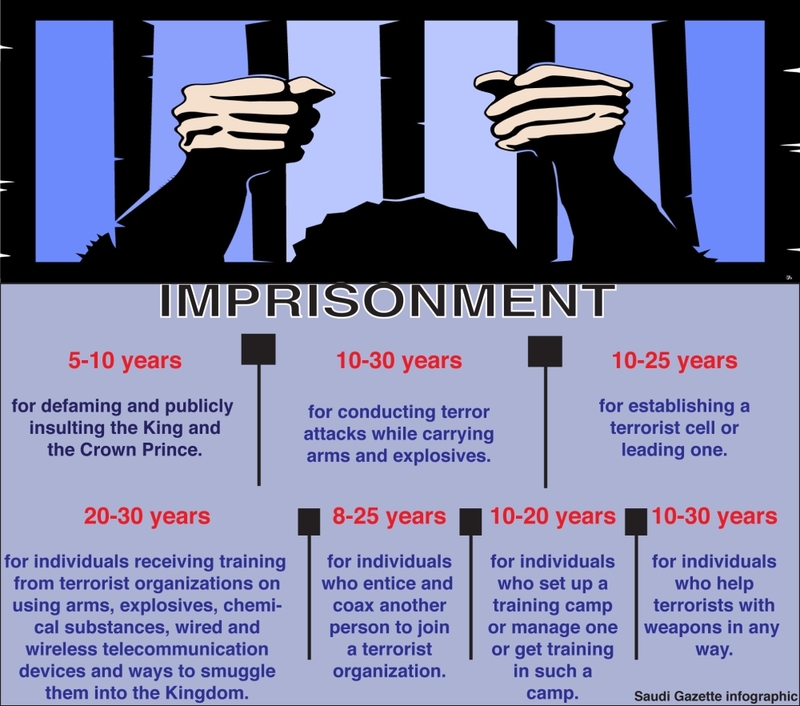 According to Saudi Gazette, the new law will support sentences of at least 15 years in jail for anyone found guilty of misusing his authority to support terrorism. A jail term of between 10 and 25 years awaits anyone who sets up a terror entity or holds a leading position within it. Those who incite others to join terror groups, to participate in their activities or to fund them in any way, shape, or form will face up to 25 years in jail. Providing terrorists with shelter, medical treatment, meeting facilities, or transportation equals up to 20 years in jail, the law said. Additional fines will vary from 3 million Saudi riyals to 10 million Saudi riyals. On Saturday, Saudi Arabia&apos;s air defense forces intercepted and destroyed a ballistic missile northeast of the capital Riyadh, according to Al Arabiya. The missile did not cause any major damage and was destroyed near Riyadh&apos;s King Khalid International Airport (RUH). The spokesman for the coalition forces who are fighting against Houthi rebels in Yemen, Colonel Turki al-Maliki, said that at 8:07 p.m. a rocket was fired from within the territory of Yemen towards the territory of the Kingdom of Saudi Arabia. Colonel al-Maliki added that the rocket was aimed at the capital of Riyadh and was launched "indiscriminately and absurdly to target the civilian and populated areas, where it was intercepted and the fragments fell in an uninhabited area east of King Khalid International Airport". According to Reuters, Saudi Arabia issued a royal decree appointing new ministers for the National Guard and for economy and planning. Economy Minister Adel Fakieh was replaced by Mohammad Al Tuwaijri while Khalid Bin Ayyaf replaced Prince Miteb Bin Abdullah as National Guard Minister. Prince Miteb, the preferred son of the late King Abdullah, was once thought to be a leading contender for the throne before the unexpected rise of Crown Prince Mohammed bin Salman two years ago. Prince Miteb was the last remaining member of the late King Abdullah’s branch of the family to hold a position in the upper ranks of the Saudi power structure. According to the Associated Press (AP), 11 princes, 4 current ministers, several businessmen, and a number of former government ministers were arrested under orders from the new anti-corruption committee headed by the Crown Prince Mohammed bin Salman on Saturday evening. Since the arrests, Saudi authorities have announced that they will be freezing the bank accounts of the detained suspects based on corruption charges. WATCH: Crown Prince Mohammed bin Salman: "No one is above the law, nor prince or minister." A Saudi prince was killed on Sunday when a helicopter crashed near the kingdom&apos;s southern border with war-torn Yemen, according to Arab News. Arab News stated that the Deputy Governor of Asir province, Prince Mansour bin Muqrin, and seven others were killed in the helicopter crash but did not reveal the cause of the tragic accident. The group was carrying out an aerial inspection of the region when it crashed. On Monday, Saudi Press Agency (SPA) also confirmed that the wreckage of the plane was found and a search to find any survivors is underway.